TOS FIVE demo available on the Store! I am happy to report that a DEMO version of TOS FIVE can be downloaded HERE on the store!! 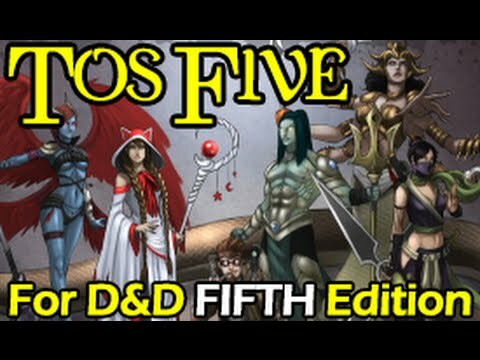 This DEMO version will give you a fair idea of how TOS FIVE works for you. You can also check out the tutorial below (jump to 0:32 top skip the Welcome sheet) for more insight on the use of this very powerful tool for 5th edition players! Woot! Glad to see the single most popular PF tool in the Open Gaming Store ported to 5e!